Happy Republic Day! Republic Day honors the date that the Constitution of India was ratified, replacing the Government of India Act (1935) as India’s governing document. To celebrate Republic Day in true SocialCops style, we combed through data sources and the Constitution itself to investigate what the data shows about the Indian constitution. Here’s what we found. Countries have been ratifying constitutions since 1215, when King John of England signed the Magna Charter. The next country to ratify a constitution was the United States in 1789, and the creation of constitutions has accelerated since then. Excluding the United Kingdom, the data set on the constitutions created per year has a mean of 1980 and a median of 1991. This means that the data set is skewed toward later years — more constitutions have been ratified in recent years than in past years. Constitutions have even been ratified as late as 2014 (Tunisia, Thailand, and Egypt). The Indian constitution was ratified on 26 November 1949. At the time, it was only the 23rd constitution to be ratified in the world. Another 168 countries would follow in the next 67 years. India possesses the longest constitution in the world — nearly 150,000 words in 450 articles. For the data set we used on constitutional word length (from the Comparative Constitutions Project), the length of each country’s constitution was measured by copying the text from publicly available PDFs of the constitution into Microsoft Word and using Word’s word count feature. For India, this possibly resulted in an overestimate. Many of the PDFs of India’s constitution include organizational and structural notes in the sidebar. These notes are not part of the main body of the Constitution, yet they are automatically included in the Constitution’s total word count when these PDFs are copied into Word. Regardless, India’s constitution is still long. Stripping out these notes only brings the constitution down to around 120,000 words. The next longest constitutions — Nigeria with 66,263 words, Brazil with 64,448 words, and Malaysia with 64,080 words — do not come close to this word count. The average constitution in the world is 22,249 words long, between one-fifth and one-seventh the length of India’s constitution. Edit: Thanks to Hemant for clarifying the notes in the sidebar of the Constitution. They are called “marginal notes”. Since they have been used in the past to help interpret the Constitution, it is fine to include marginal notes in the Constitution’s word count. Instead of staying static since 1949, India’s constitution has undergone constant change. From 1950 to August 2015, there have been 100 amendments to the Indian constitution. The Indian constitution is one of the most amended constitutions in the world. The procedure for passing most amendments is outlined in Article 368 of the Constitution. An amendment is initiated by the introduction of a bill in either House of Parliament. The bill must be passed in each House by a majority of total members and a two-thirds majority of present voting members. Once the bill is passed, it goes to the president for approval. The Indian National Congress was responsible for most of these amendments. This makes sense, since the INC has been in power the most since 1950. However, the BJP and Janata Dal were more efficient than the Congress Party. The BJP and Janata Dal passed over 2 amendments per year in power, compared to the INC’s 1.437 amendments per year in power. This is just a selection of the data on the Constitution. If you find something else in the data, let us know on twitter (@Social_Cops) or in the comments! 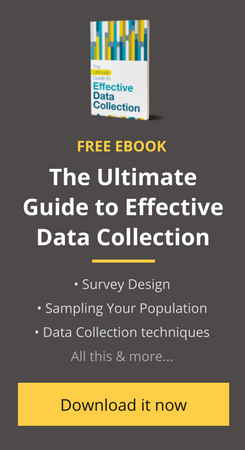 Interested in reading more data-driven content like this? Sign up for our newsletters! We promise to only send interesting, relevant articles, data analysis, and updates. No spam. Check out our newsletters and sign up. “Organizational and Structural notes” mentioned by you in the article are referred as “Marginal Notes” in the scheme of an Act or for that matter the Constitution. These notes are essentially a title to the Article. They are very much a part of the Constitution as they can be and have been used in interpreting the corresponding Article. Excellent effort at breaking down the numbers! You can also break numbers for various constitutional amendments, which have been held either unconstitutional or constitutional, wholly or partly, by the Supreme Court. This will help put in perspective the work of Supreme Court with respect to the Constitution. This inquiry would be unique to the Indian legal system as it is only in our system that the Supreme Court has the power (or given itself the power) to review even a Constitutional amendment. I was expecting the Indian constitution to be larger than most. Thanks for the insightful data to prove it now.